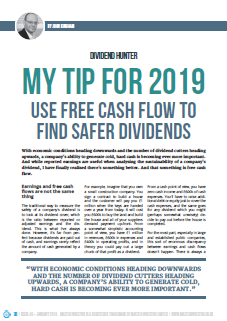 In December I wrote an article for Master Investor magazine talking about ‘my stock market tip for 2019’. 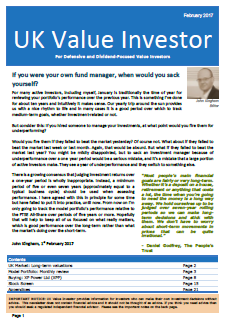 At the time I was looking to switch my investment strategy from an earnings-based approach to one centred around free cash flows (i.e. operating cash flow minus capital expenses). However, after some additional thought and meditation I have decided to back-track somewhat on my short-lived enthusiasm for free cash flows. Instead of using free cash flows to find safer dividends, I’m going to focus on reported earnings, growth of capital employed, net profit margins and the avoidance of turnaround situations. This doesn’t mean I think free cash flows are a useless metric, because I don’t. I still think free cash flows are worth looking at in some situations, such as a capital intensive company undergoing rapid growth. It’s just that in most cases, when you focus on companies with high returns on sales (net margins), high returns on capital, low debts and healthy dividend cover, the company also has good free cash flows which more than cover the dividend over time. Where does that leave Centrica? In a not very happy place! In terms of the gap between capex and depreciation & amortisation, Centrica’s cash flows benefit from a slight tailwind because its capex has been below depreciation. That’s probably because it’s been moving away from more capital intensive exploration & production business and towards the less capital intensive customer-facing ‘smart home’ business. However, Centrica really doesn’t score well at all on most of my metrics. It’s average net profit margin is 2% (! ), average return on capital is 5.5% (well below average), it has stupendous amounts of debt (~£6bn) given its average earnings, it has a massive pension liability (>£9bn) and a fairly large pension deficit (~£1bn). It’s very capital intensive (capex is more than 2x profits) and it’s more acquisitive than I’d like (10yr total acquisitions > 10yr total profits). It basically fails just about every test I can throw at it. Having said all that, for my sins I own Centrica, having purchased it about seven years ago when my strategy was in the embryonic stages of development. It makes up less than 1% of my portfolio and I will probably be offloading it in 2019 as part of my post-2018 spring cleaning efforts. John, I’m in a similar position — which is no consolation for either of us I guess. It’s 1.3% of my portfolio and has halved so it’s been one of my worst investments. One of the ironic parts about it is that the management seems to have got everything wrong – they bought in heavily to E&P assets when at the high point of commodity prices and sold off the assets at the low point just as the oil price started to ramp back up to an acceptable level — it’s a classic case of your business is out of your hands in terms of never knowing what the price of your product is going to be from one year to the next, and then there is regulation to add to the mix. Hence apart from this sad case, I no longer own any commodity companies at all. The push for Hive has been going on a long time, but I’m not sure if there is any money in it? You can buy connected home products from anyone and I can’t see the point of paying more each month on your bill to have this facility when you can buy it, pay once, and never have a repeat bill. I guess they are working on the basis that vast majority of people know little about the connected products and look to British Gas to be experts in installing, monitoring and maintaining, and of course charging regularly for it. Perhaps I’m too old school and having never bought a car if I couldn’t pay cash for it, I’m so averse to taking anything on a monthly rolling payment basis. I really and truly hope that I’m massively wrong and Ian Conn (not a very apt name for someone who draws millions each year from an effective public utility) has got it spot on. I’d like to see some recovery in Centrica, but somehow I think I’m probably dreaming. Do wake me up when it all comes good lol !! Excellent Article John and explained very well. I see that the spreadsheets version2 are yet to incorporate these FCF changes. The FCF-TCE-BetaV0.5 had those changes though. I guess they would need to merged. Hi Pradeen, the ‘beta v0.5’ spreadsheet was only a work in progress. Since releasing that spreadsheet I have moved away from measuring free cash flows. Instead, I’ve updated some of my existing metrics to look at things like reported earnings, capital employed and profit margins. I’ve also increasing my minimum acceptable return on capital employed from 7% to 10%. For example, if you have a reasonable hurdle rate for ROCE (e.g. 10%) then in most cases free cash flows aren’t a problem. Have a look at some of the other recent posts for details on my updated metrics. They also link to an updated version of the Company Analysis Spreadsheet (V2.0). I had checked. I think the The FCF dividend cover and the FCF growth were missing in the V2 version. Will check again. I want to make a point that the industry dynamics is probably more important in influencing the performance of a business compared to the business itself. Steel and oil sector requires huge capital investment compared to the insurance industry. 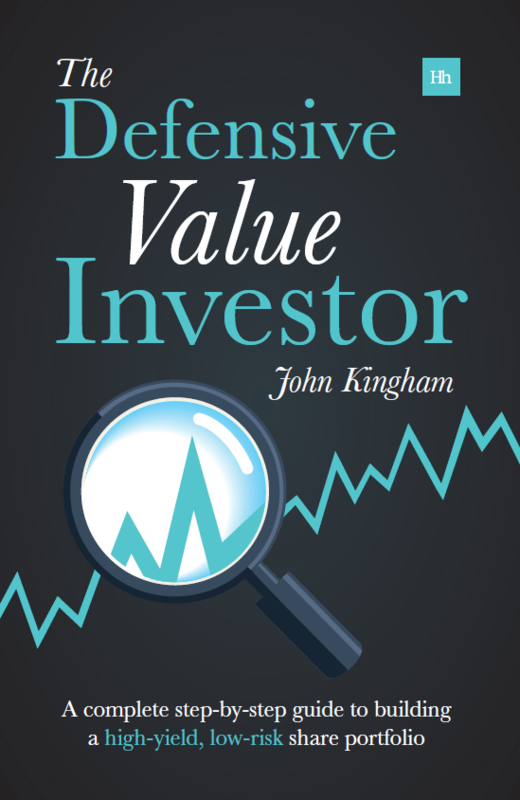 Therefore if investors allocated their capital to good companies in all three sectors (steel, oil and insurance) the performance and returns of the insurance company would outstrip the other two. Unfortunately, this flies in the face of diversification because very few companies have such position and one would be lucky to find 3 or 4 such companies at a reasonable price. I agree to some extent that a company’s industry is hugely important in both how the company performs (e.g. revenue, earnings and dividend growth) as well as how it produces that performance (i.e. capital intensity, returns on capital, cyclicality, etc). Whether or not industry is more important than the individual company I don’t know. But industry differences are hugely important. Also, insurance businesses don’t necessarily outdo oil, gas, steel etc. companies. A long time ago I invested in both RSA (previously Royal Sun Alliance) and Aviva, and they were both basically poor companies (although I didn’t think that at the time). On the other hand, a company like BHP may be able to produce reasonable returns over time due to durable competitive advantages (i.e. owning some of the world’s cheapest sources of many commodities). So although it’s easier for an insurance company to produce high returns on equity while not having to invest heavily in capital assets, that doesn’t give insurance companies an automatic right to outperform excellent companies in more difficult industries. As for there only being 3 or 4 capital light high return companies at an attractive price, that may be true. And it’s why I like to have a more flexible approach where I weigh various factors such as price, capital intensity, growth, stability, profitability, etc. It means there will, hopefully, always be something attractive to invest in at all times. Me too I’ve always preferred earnings vs free cash flows (for non rapidly-expanding companies), but since the general opinion would be somewhat the opposite, I’ve always had some doubt on the matter. Since you are the first I hear to think the opposite, I hope you can write a future article with a more extensive explanation of your choice. Hi meriggio, okay, I’ll put it on my list although I can’t promise anything. I may write a blog post on eps vs fcf, or I may just pick out various differences and my preferences when writing about specific companies. John- I’m curious if you’ve looked at Century Link (CTL)? The decline in the stock has created a 15% dividend rate. This is a company that’s has been through a transformative acquisition that has added a significant amount of debt to the balance sheet and revenues are declining as the company winds down some of the legacy business in favor of growth businesses with higher Ebitda margins. The company is reducing LT debt and FCF is growing and covers dividends at approx 1.5x. What’s your approach to analyzing a situation like this? Hi David, I haven’t looked at Century Link, but I have been through this sort of situation before; N Brown springs to mind. I think if I ran into this situation in future, I would analyse the company on the assumption that the legacy business closed tomorrow. In the past I have tended to underestimate how quickly legacy businesses can collapse, so by assuming the legacy business closes immediately I can avoid repeating that mistake. The second step would be to analyse the business based on those parts of the business management were focusing on, i.e. the acquired business in your example or N Brown’s three ‘power brands’ in that company’s case. I would pick out the ‘growth’ business’s historic revenues, earnings, dividends, capital employed, etc. as best I could, and then enter that into my spreadsheets. I would then be valuing the company purely on the basis of the ‘going concern’ side of the business and ignoring the legacy business, which I think is a prudent approach. As for debt taken on in the acquisition, I would look at management’s debt reduction plan. Sometimes they’ll pay down debt by selling off non-core businesses, but not always. Either way, have a close look at management’s expectations for future debt and how (and whether) they expect to get it back to normal levels. If there are no stated plans for debt reduction then that is a negative sign. That’s a fair point certain commodity companies do possess the durable competitive advantage that enables them to consistently perform and reward their shareholders. However, I still believe capital intensive companies are not the best types of companies to invest in. Put it this way to grow or replace assets they need a huge capital this takes a dent on the shareholder’s equity. If a plan doesn’t work out it’s not easy to discontinue a new plant. Another thing to bear in mind is capital intensive companies often depend on macroeconomic climate. Therefore if the world economy is booming then so does the company but if the economy is down the company goes down. Under unfavourable economic climates, these companies can go down permanently because economically these companies are quite fragile so a small blow is lethal enough to send them into administration.